Whilst they may have won the Football Frontier tournament, Mark Evans and his friends will need to hone their skills further if they are to take on the world in Inazuma Eleven 2. 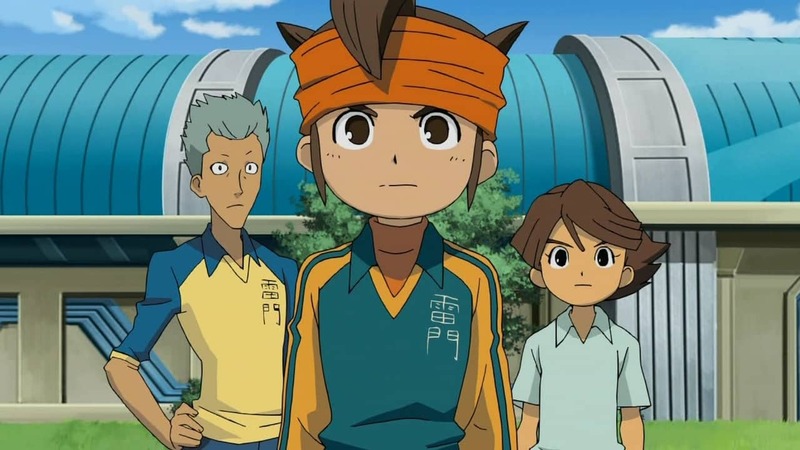 The Raimon Eleven are training when they find their school suddenly prey to an attack from Alius Academy, invaders from outer space. They plan to use a destructive brand of football to destroy the world, unless the Raimon Eleven can defeat them in a football match! Mark Evans and his team must therefore travel across Japan to recruit the country’s best football players, so that they can stop the Alius Academy and save the world. Once again blending RPG elements and football-based action, Inazuma Eleven 2 will see you able to encounter and recruit over 1500 players for your team. The game will be available within two versions, Inazuma Eleven 2: Firestorm and Inazuma Eleven 2: Blizzard, each with the same overarching storyline but with a range of differences. Each has over 150 unique characters and teams to face off against, alongside abilities and special moves. You’ll also be able to engage within a four-player challenge over local wireless multiplayer, including those who own the first Inazuma Eleven game, as well as trade players and teams. Inazuma Eleven 2: Firestorm and Inazuma Eleven 2: Blizzard will be available across Europe on March 16th for both Nintendo DS and Nintendo 3DS.